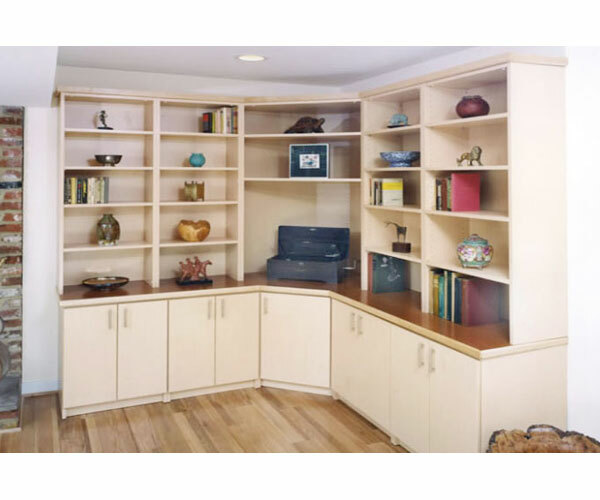 We offer a wide variety of design options, material choices, color combinations, and hardware selections, so you can create functional, beautiful and economical Closet Organizers, Wardrobe Closet Units, Pantry Cabinets and more. At Euro Design Center customer satisfaction is our number one priority, and as a result we have over 6000 satisfied customers in Maryland, DC and Virginia. 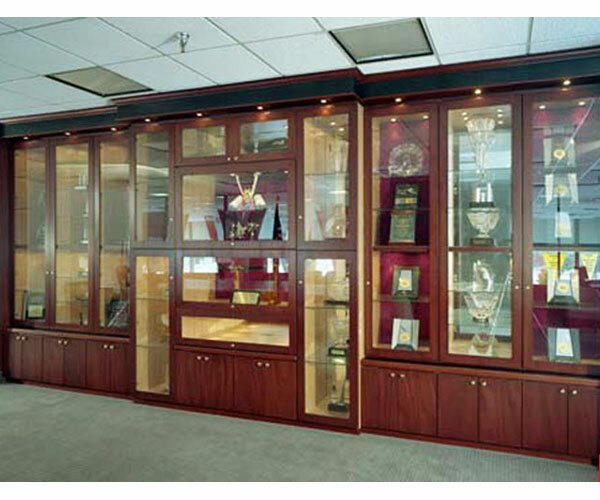 Display Showcases and display cabinets are custom built at affordable prices. Depending on your preference, Display Showcases come with or without four styles of plexiglass doors, glass shelves, and lights. Our experienced designers will work with you in designing your dream Display Showcase. Select from a variety of colors and designer or standard handles and knobs. 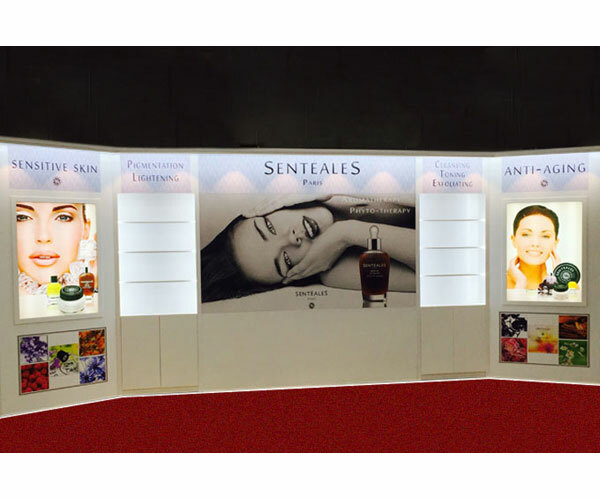 This is the professional display unit done by Euro Design Center for Sentealesusa for the International Esthetics, Cosmetics & Spa Conference held in Las Vegas in June, 2015. Get your professional or home display units done by EDC. Our professional designers will design your display units to match your specific needs. Put your Display Ideas to work with the help of our professional designers with expert advice on Display and Exhibit Showcases. 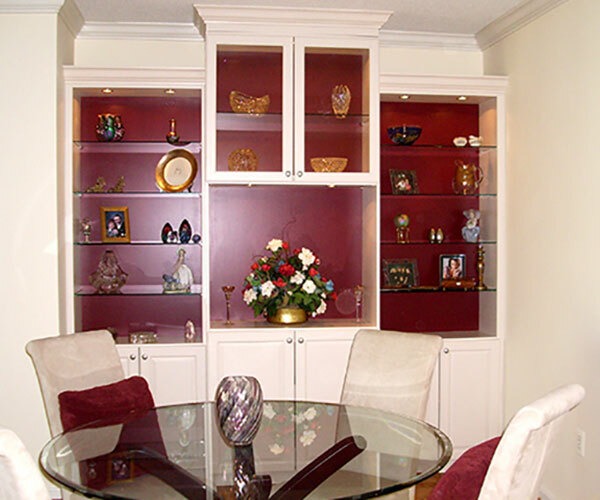 Get your Display Wall cabinets, Curios, Display units with or without glass doors and glass shelves. 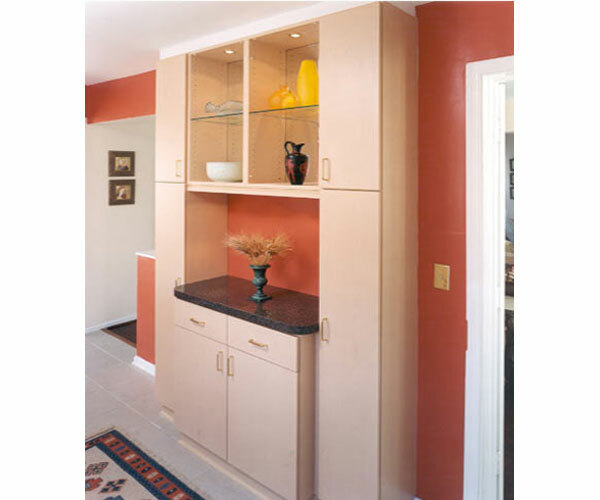 Our Display Wall units are custom made and offered in various different colors. Give your living room a facelift with a Euro Design Center Wall Display unit. 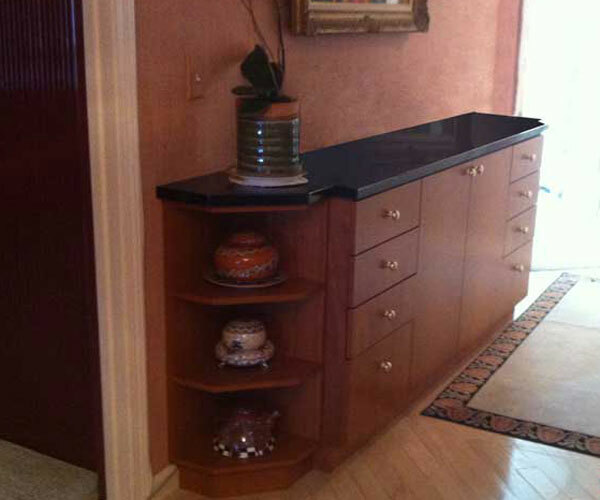 Affordable and practical Glass Cabinets custom made with glass doors, glass shelves, and knobs. 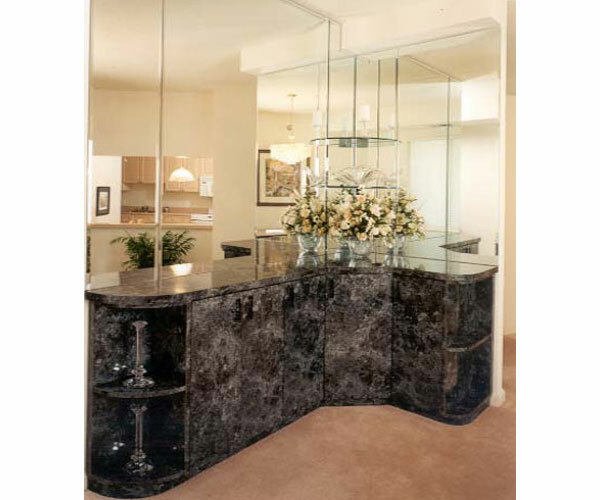 We make both MCP and wood standard Glass Cabinets. Select from a variety of color choices and door style selections. Display Cabinet showcasing Display Panels through glass doors. Our experienced designers will give you creative ideas in making Display Tables and Display Panels. 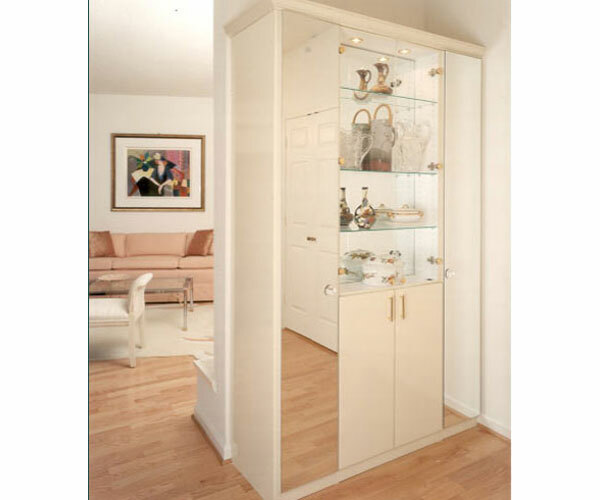 We install our Closets with our highly trained team of Closet installers some with over 20 years of experience with our company. We also carry a very comprehensive insurance for your protection. 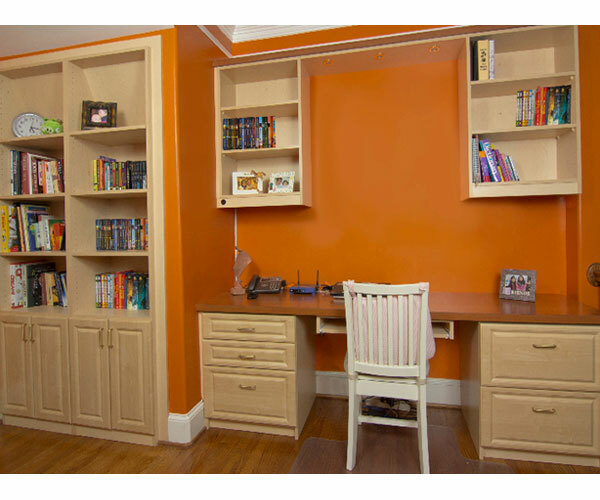 What we do is considered as a home improvement, therefore we have a Maryland Home Improvement License, this is a requirement, ask for it whenever you consider doing a closet or home office project. Our installation is done by our hourly paid employees (no sub-contractors), since our closet installers are hourly paid we have 100% control over the quality and craftsmanship and cleanliness of the job. They will not rush your job. We are a turnkey operation: first we will send an experienced designer to sit with you to discuss your project needs whether it is a Closet, Home Office, Wardrobe Closet, or any other product we offer absolutely free of charge. Upon design approval, we will manufacture your product, keeping you informed every step of the way. Then our in house installers will come to your home or office to make sure the project is completed to your satisfaction and on time. 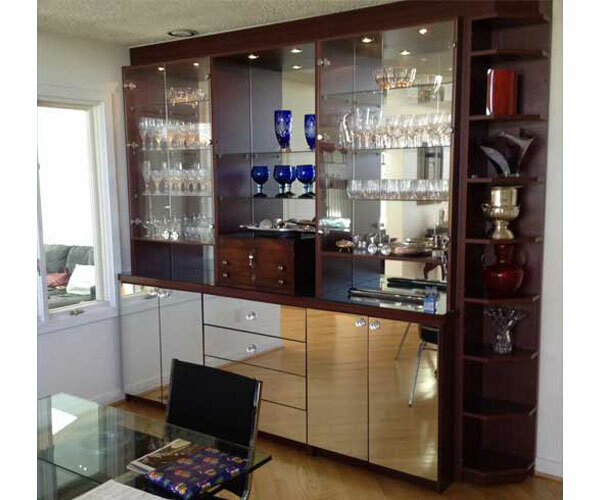 Get a Mini Bar for House with wine racks, glass racks and other accessories. Choose from a variety of Bar Tops. We make Mini Bar for House, Bars for restaurants, pubs, and night clubs. Get your beer, liquor storage, or wine storage custom built. 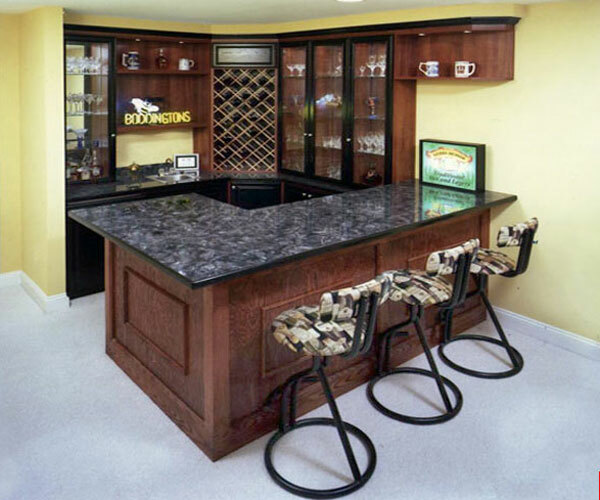 We have hundreds of Bar Tops to choose from for your Mini Bar for House. Our product line extends beyond closet organizers and pantry shelving or mud rooms. 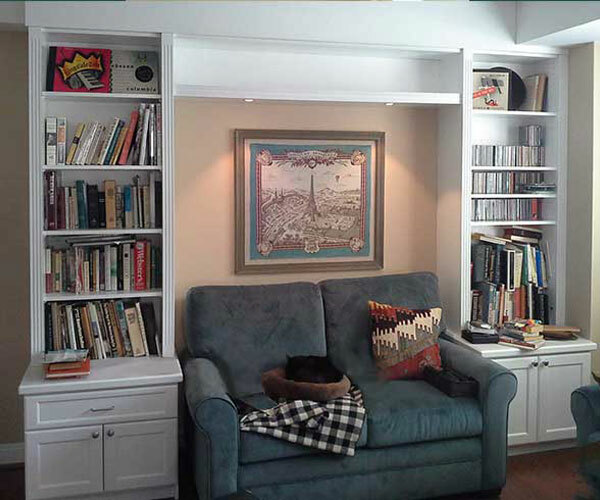 We do work in almost every room of your house, whether it is the attic closet or the home office or it is the art room or the garage, we have the products and the expertise. When it comes to excellence, we don't just stand out, we stand alone. 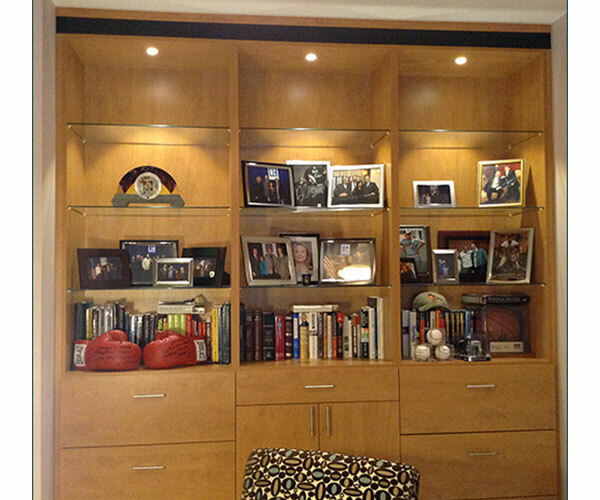 Affordable Display Cases and Display Cabinets custom designed, manufactured, and installed in Washington Metro area. 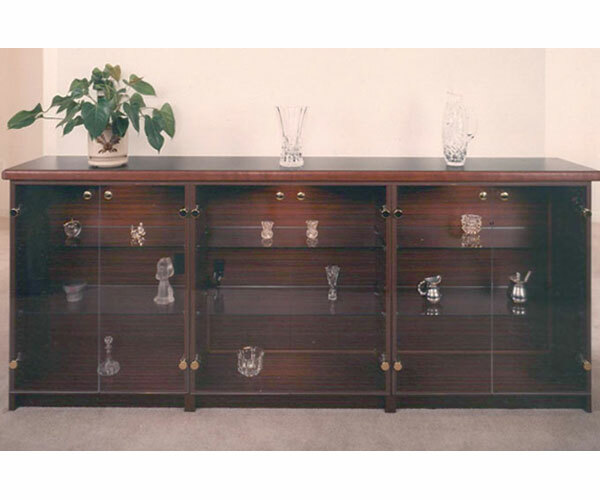 Our professional craftsmanship pay attention to detail in brining your Display Cases to life. Being hand picked by Home Depot to partner and sell Closet Organizer Systems, Wardrobe Closets, Garage and Entertainment Units, we were invited by Home Expo Design Centers (a subsidiary company of Home Depot) to display our entire product line in their showrooms, gives testimony to our design expertise and superior product quality. 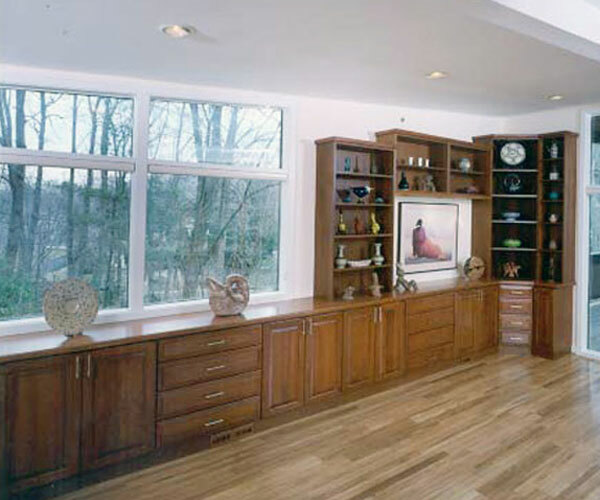 Beautiful Display Cabinets with tall glass doors and overhead lights. 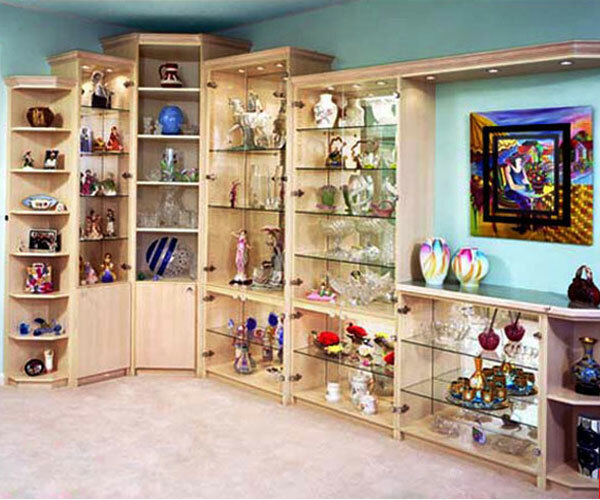 Our Display Cabinets and Display Cases come with glass shelves and four different styles of plexiglass doors.